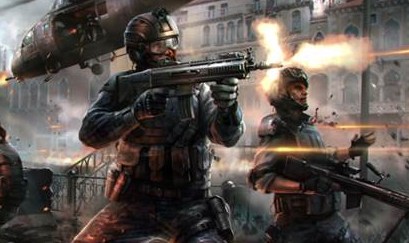 Gameloft's upcoming FPS boosted with octa-core processor power. Modern Combat 5 is one of Gameloft's most anticipated titles, and the company made it even more interesting with the announcement that it will optimize its first person shooter for MediaTek's MT6592 octa-core smartphone chip for Android-powered devices. What does it all mean? The chip will allow for a new level of high definition gaming, particularly when it comes to water distortion effects, reflections and shadowing. "We're thrilled to continue our collaboration with MediaTek," said Ludovic Blondel, Vice President OEM at Gameloft. "This new octa-core system on a chip is focused on high performance and is one of the best mobile technologies on today's market. We are delighted to showcase this innovative, high-end technology in Modern Combat 5, one of our most awaited games of 2014." "With the rapid development of mobile Internet applications and services, mobile gaming has become one of the leading value-added services for our customers and the best medium to experience the power of True Octa-Core with our MT6592 chip," said Jeffrey Ju, General Manager of MediaTek Smartphone Business Unit. "Our partnership with Gameloft on Modern Combat 5 is a major breakthrough for the industry and gaming community, as we empower the ultimate gaming experience that can be enjoyed anywhere, anytime." Look for Modern Combat 5 in 2014.